Dr. Vinod Kumar is Associate Professor of Law. Presently, Dr. Kumar is also Director, Center for Human Rights and Subaltern Studies at NLU Delhi. Dr. Kumar is also an Expert Member of United Nations’ Expert Group on Global Manual on Counter- Terrorism. Dr. Kumar is a Visiting Research Fellow of Asian Law Institute, National University of Singapore (NUS). Dr. Kumar is also a Visiting Professor of Human Rights to University of Sao Paulo (Brazil), Visiting Professor to Beijing Normal University (China) and Visiting Professor to South Eastern University (Sri Lanka). Dr. Kumar is Ph.D. in Law (JMI), LL.M. (D.U.) LL.B. (D.U.) and UGC -NET Qualified. Dr. Kumar did PGD in Victimology from Tokiwa International Institute of Victimology (Japan). Dr. Kumar also did PGD in International Human Rights, Humanitarian and Refugee Law from Indian Academy of International Law, New Delhi. Dr. Kumar is a member of World Victimology Society and also a Life Member of Indian Society of Criminology. Before joining academics Dr. Kumar practiced as an Attorney for six years in High Court of Delhi. He also worked as a Legal Researcher for two years. 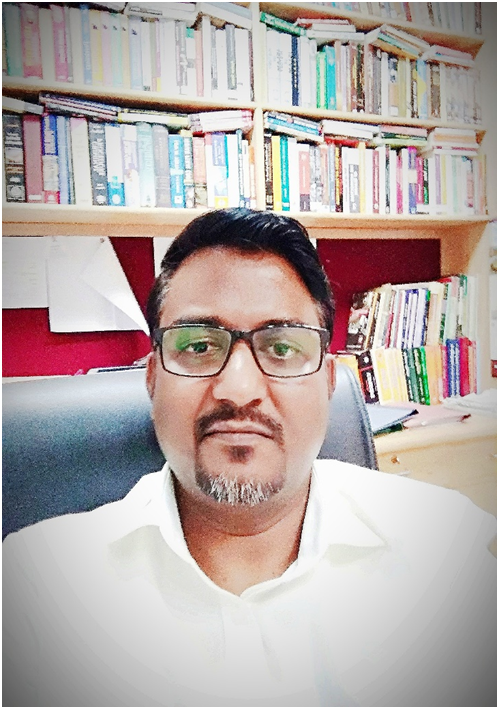 Dr. Kumar joined Faculty of Law, University of Delhi as Assistant Professor in 2007 and taught a variety of subjects such as- Administrative Law, Company Law, Partnership Law, Law of Insolvency and Law of Torts. Dr. Kumar joined National Law University, Delhi in May, 2009. He teaches International Human Rights law to Post-Graduate students of law. He also teaches Criminal Law and Law, Poverty and Development to Under-Graduate students of law. There are thirteen published papers of national and international repute to his credit. He has also presented dozens of research papers in national and international seminars, workshops, symposia and conferences.